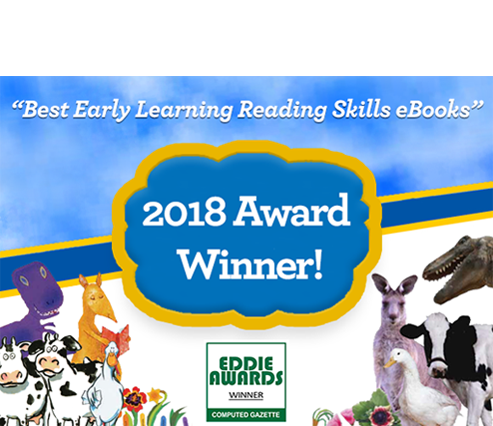 Winner of Best Early Learning Reading Skills eBooks at the 2018 Computed Gazette EDDIE Awards! Build a Love of Reading with Paired Fiction and Nonfiction Storybooks. 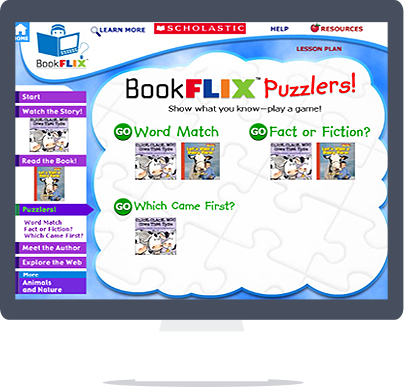 ﻿﻿﻿﻿﻿BookFlix introduces children to a world of knowledge and exploration while teaching early literacy skills. 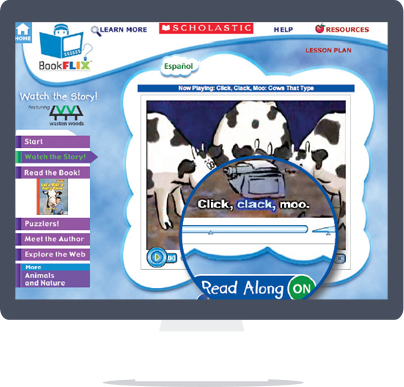 BookFlix is an exciting online literacy resource that pairs interactive, fictional video storybooks with related nonfiction eBooks. 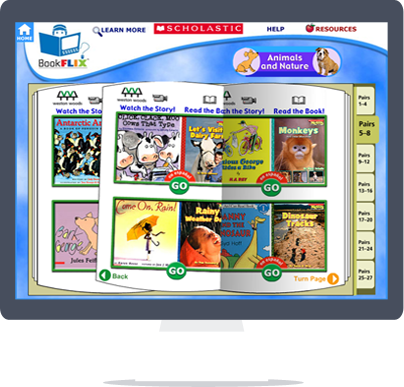 BookFlix engages young students, reinforces reading skills, and introduces early readers to a world of knowledge and exploration. 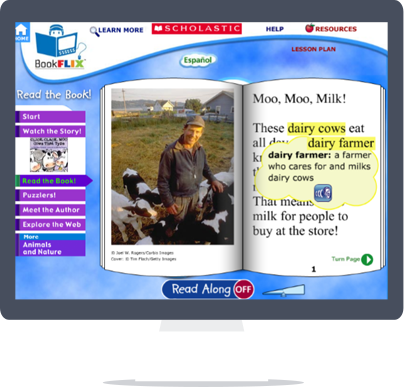 Interactive games provide the opportunity to practice new reading skills like vocabulary and comprehension. 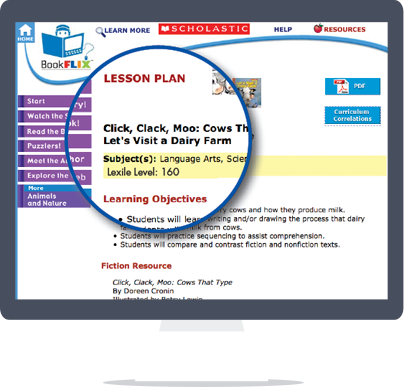 Find BookFlix in Scholastic Learning Zone, Scholastic's new web-based platform that provides educators and students with one-stop access to an ever expanding portfolio of digital education resources. one user name and password. Build a Love of Reading with Paired Fiction and Nonfiction—Online! Build a Love of Reading with Paired Fiction and NonfictionâOnline!